The Group 1 status of next month’s Blue Diamond Stakes will ensure Yulong Investment’s exciting filly Catch Me chases the Caulfield race instead of a potentially easier and richer event in Sydney. Being a product of last April’s Sydney Easter Yearling sales, Catch Me is eligible to run in the inaugural $2 million Inglis Millennium for Inglis graduates at Warwick Farm, however the Blue Diamond offers the filly’s owners exactly what it is looking for. “Going forward, the Yulong breeding operation is growing, so to have a Diamond-winner in our broodmare band would be fantastic,” said Sam Fairgray, Yulong’s chief operating officer on Monday. Winning the Group 3 Gimcrack Stakes over 1000 metres on debut at Randwick Catch Me is due to return to the track on Saturday for the Blue Diamond Stakes Preview at Caulfield. Catch Me will return two weeks later for the Prelude over 1100 metres and then a fortnight later chases the $1.5 million Group 1 prize over 1200 metres. 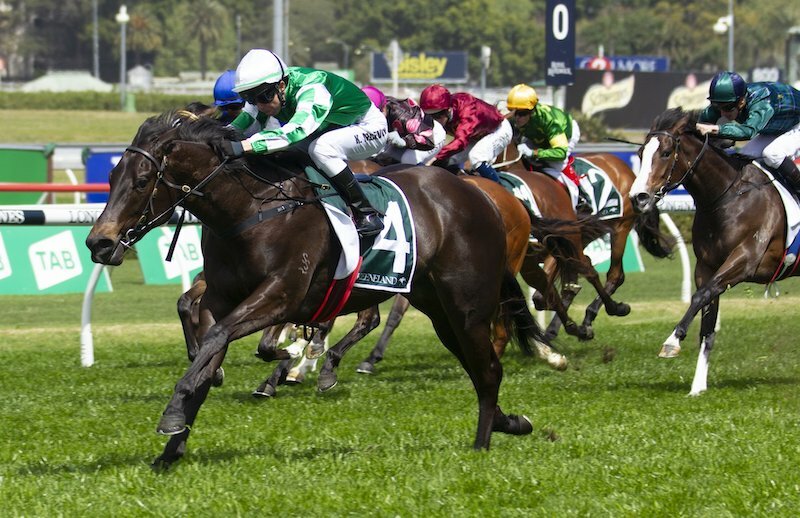 Purchased for $625,000 as a yearling, Catch Me is by the remarkable stallion I Am Invincible with Yulong going to $1 million again at the Gold Coast this year to secure another daughter of the stallion. Fairgray said trainers Peter and Paul Snowden had long had the Blue Diamond as their chief aim for Catch Me, who enjoyed a soft trial win at Pakenham last week. A Group 1 victory is the next goal for Yulong Investments, which has been a big buyer at the sales in the past two seasons and this year they sold their own yearlings at the Magic Millions January for the first time. Yulong Investments, owned by Chinese billionaire Yuesheng Zhang, already has 140 racing horses on its books in Australia in a few short seasons with plans to house up to 200 broodmares and two stallions across its three Victorian properties at Nagambie (two) and Koo Wee-Rup. Fairgray said Yulong hoped to breed its own stallions into the future. “We bought a $1 million colt by Zoustar up on the Gold Coast and that was part of the idea with him but in the meantime, we’ll be looking for suitable colts to purchase and stand here in Victoria,” he said.